Fast forward six decades or so, and you’ve got our modern world. All the same types of psychopathic killers still run the world’s most powerful governments and corporations, but they’ve figured out that in order to kill people, they’ve got to do it a little more covertly. Specifically, there needed to be a way to get people to voluntarily kill themselves. Rounding people up at gunpoint is a messy business. It’s so much easier when you can just get people to take care of the act of killing themselves. 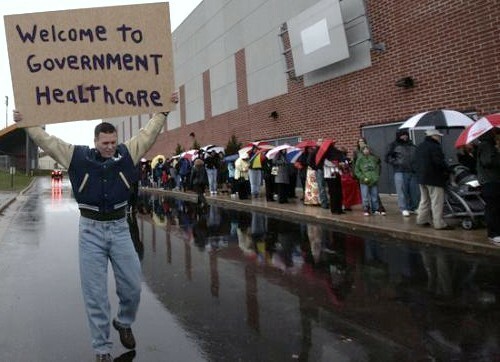 This image, from EnlightenedRedneck.com, shows people voluntarily lining up for vaccine injections. They’ve been convinced, through a steady stream of propaganda, that vaccine shots reduce the risk of catching the flu. What they’re not told is that flu shots increase the risk of catching influenza. They actually promote the very thing they claim to prevent, thereby causing more people to catch the flu and subsequently believe they need flu shots. But the real genius of flu shots is that they contain chemicals that cause infertility and spontaneous abortions. Chemical adjuvants. Mercury-derived preservatives. Live viral strains of stealth cancer viruses. (SV40). Another weapon in the soft-kill arsenal is, of course, genetically modified organisms (GMO). GMOs are engineered with a toxic pesticide chemical that grows right inside the kernels of the corn. So when you eat the corn, you ingest the same poison that kills insects that feed on corn. What does this poison do to humans? 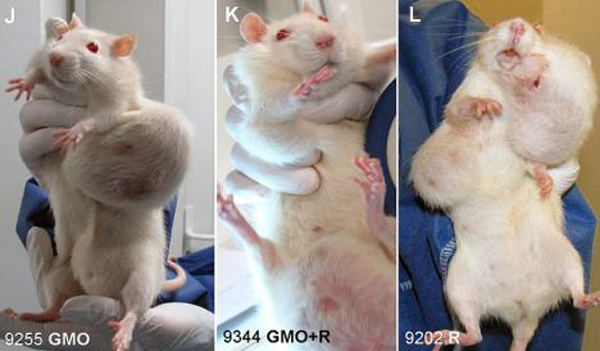 We’re about to find out in the years ahead, but in rats fed a lifetime of GM corn, they develop grotesque, deadly cancer tumors at an alarming rate. The evil genius of GMOs is that if you can hide them in the food supply, people will eat themselves to death and never know what caused their death. After all, the USDA and FDA say GMOs are safe, so it must be true, right? GMOs are sort of like a “friendly” version of Zyklon B that you can use in pancake batter and muffins. It’s in your breakfast cereal and lunch boxes. GMOs deliver a little bit of death in every bite, and while they don’t kill you right away, the effects build up quietly, cumulatively, until you’re a walking time bomb of cancer and death. You ever notice that when governments and non-profits like the Bill and Melinda Gates Foundation send “aid” to Africa, they never send food? They never teach sustainable farming? They never provide knowledge of local medicinal herbs so that the people can grow their own medicine? 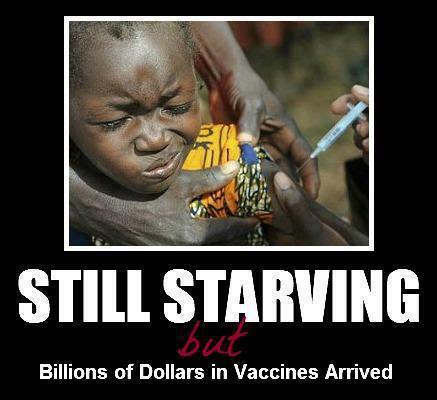 The mass vaccination of African children is cheered by ignorant American “progressives” who have been tricked into thinking that Africa’s problems could only be solved if we could inject everyone there with yet more viral strains and mercury preservatives. The insanity of the whole scheme never seems to cross the minds of those who blindly support it. When you want to kill ants, you use “ant bait.” Described as a “syrup-like insecticide bait,” this bait is poisoned disguised as food. The ants line up to eat it, just like humans lining up to eat GM corn and take vaccine shots. They think it’s nourishment, but it ends up causing death. This particular ant bait, by the way, is made by none other than BAYER, the same company that makes your children’s aspirin. The same company whose chairman, Fritz ter Meer, was convicted of Nazi war crimes. Bayer is the offshoot of the evil pharmaceutical giant IG Farben which used Jewish prisoners for heinous vaccine medical experiments. In fact, modern-day vaccines have their roots in Nazi medical experiments. Today’s death chemicals, you see, are all disguised as something that claims to be beneficial: Food, vaccines and pharmaceuticals. When you take a vaccine shot, swallow a pharmaceutical, or eat genetically modified food, you are, knowingly or not, metaphorically walking into a Nazi gas chamber and gassing yourself with Zyklon B. But the brilliance of the system is that people no longer have to be forced to do this… they will voluntarily do it to themselves and their children. Most parents will literally enforce the globalist genocidal agenda against their own children. In contrast to 1944, today you have a choice. You have the power to stop poisoning yourself with GMOs, vaccines and medications. It only takes a simple choice on your part… a choice to stop participating in the “culture of death” that’s being pushed on you by your doctor, television shows, the news media and government authorities. The culture of death is steeped in GMOs, vaccines, medications, pesticides and chemical intervention. It leads to only one place: Genetic annihilation and premature death. This is the culture that we espouse here at Natural News. This is what promises sustainable human life on our planet. And this is what is threatened by GMOs and the corporate monsters that push them on the population. 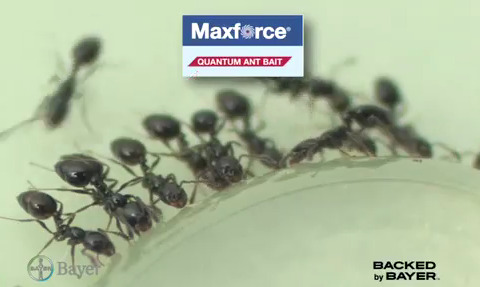 Don’t be like the ants eating BAYER ant bait — death weapons disguised as food. Be wary of what you consume, what you inject and what you put on your skin. Protect yourself from chemicals and you and your children will have a future of health and abundance. Remember: The modern holocaust has already begun. It’s a silent, slow, “scientific” holocaust that delivers death in the form of food and medicine.